..or when is a harmonica not a harmonica? 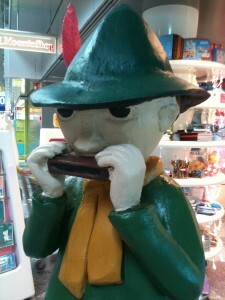 Sometimes it is important to take a complete break from the everyday, including the harmonica. A holiday should promote a renewed sense of perspective and a fresh appetite. Which is possibly the true meaning of recreation. 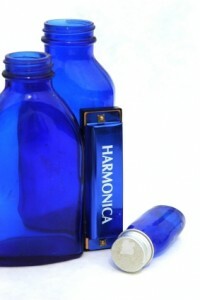 And so it is, that not playing the harmonica can actually improve musical creativity. This summer the Good Doctor vacated the Harp Surgery and repaired to the fresh air of Scandinavia in a bid to recharge the old electrochemical cells. If less is more, then the expansiveness, raw nature and piercing silence of Northern Europe is a source of great spiritual enrichment. 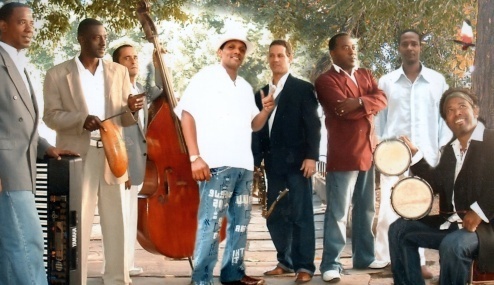 To witness Cuba’s musical pulse first hand and sip Mojitos in the sweat of Havana’s Bar Montserrate is privilege enough, but to sit in with the house band Sabor de Cuba, play the diatonic harmonica and get out alive? Ay Caramba! That’s the stuff of dreams. The Montserrate is a tourist magnet for genuinely good reason. Kitsch-free, under a blanket of humidity and aromatic cigar smoke, the throb of its acoustic Latin music is quite simply mesmerising. Add a splash of Ron Cubano, a serpentine twist of Salsa dancing and you have all the ingredients of an impromptu Latin fiesta. Next time you’re in town, drop in and join the party. 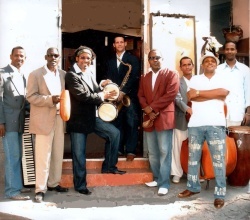 During a break in the music, house vocalist Luis Franklin presented the band’s bongo drums to guests sitting at the bar. Stepping up, the Good Doctor patted a rhythm across the skins which drew a nod of approval from Luis. Followed by an offer of sale. Sadly a shortfall in funds and luggage space forestalled business and in broken Spanish the Doc explained he too was a poor musician. What do you play? Luis asked. The Doc produced a lone Lee Oskar diatonic from his bag. In Part 1 we looked at an overview of first position. We considered why it may be something blues players put off till later. We noted that 1st position blues mainly comprises deep low end draw bends and confident high end blow bends, and that the middle octave has little to offer to those who cannot overbend. We also recommended that blues players develop the ability to identify positional playing by ear. This isn’t as hard as you might believe. It’s like birdsong. You could probably recognise the call of an owl, a seagull or a finch right? Well the three principal blues harp positions also have their own signatures. In this, the second part of our series, we look at the bottom end blues scale in 1st position and its trade licks. Meantime here’s more of our series theme tune from Nine Below Zero. The song is called Doghouse and it’s from their second album, Don’t Point Your Finger. 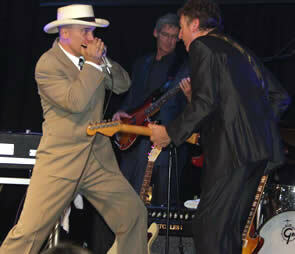 The classic blues harmonica journey starts with a crusade to the Holy Shrine of cross harp. Whereupon, straight harp (normally in the guise of Oh Susannah) is swiftly abandoned. Drunk on the glories of success and now equipped with assault amplifiers and bullet microphones, the crusade is remobilised. New techniques are won – including tongue blocking, vibrato, blow bends and third position blues – before a pale figure appears on the horizon; the ghost of first position. Time to go back to square one. When we first take up the diatonic harp, we’re on a mission from God. Nothing, but nothing’s going to get in our way. In rapid order we buy some cheap shades, a big hat and set off on a crusade to find that sound. You know the one. It goes da DA da da and fits in your briefcase. As a journeyman blues harp player listening to the experts, there were moments when those guys hit what I call the tickle spot and I shuddered with pleasure. For years I just couldn’t work out how they did it. It just sounded like they were producing harmonics and extra fat tone from out of nowhere. It wasn’t until I broke into third position playing and learned that octaving can be achieved with 5 hole splits – as well as easier 4 hole splits – that the secret began to reveal itself. By reapplying those 5 hole splits to cross harp, the hairs on my neck stood up and I broke out in goose bumps. Bingo! There was that tickle spot. So how do you pick it up? 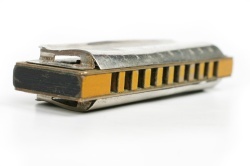 As we know, every Blues Harp player grows twitchy when they hear the sound of Cop Cars in pursuit. Unless, of course, they happen to be driving one themselves. But have you ever tried to imitate the sound of a police chase on the harmonica? Grab your nearest diatonic and we’ll take a look. But before we do, just a few words from our sponsors, fresh from the Mount Prospect City police auction..
Jake: The Caddy. Where’s the Caddy? Elwood: It’s been traded for a microphone. Jake: I can see that. 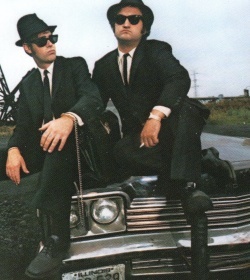 Elwood: It’s got a cop motor, a 440 cubic inch plant, it’s got cop tyres, cop suspension, cop shocks. It’s a model made before catalytic converters so it’ll run good on regular gas. What do you say, is it the new Bluesmobile or what? Brace yourself and take a deep breath. It’s time to face everyone’s worst harmonica nightmare – the three witches. They’re the three hole draws to you and me. As you are no doubt aware, if we exclude the overdraws in hole 10, this is the hole that carries the most bends. And they’re the ones we secretly dread. They never sound as strong as other notes or bends across the harp (even in the hands of the masters) and they never quite do what you want them to. I’ve heard many players camouflaging the reed’s inherent imprecision with vibrato or else they just don’t go there. Like the inconvenient pattern swap across holes 6 and 7, subconsciously we wonder who designed such a frustrating tuning system in the first place. Credit to a recent contribution on Harp-L for bringing this small, but important detail to our attention. It’s a recording of the wonderful Sonny Boy Williamson II, starting Nine Below Zero with his harp the wrong way round and on camera. As you might expect from such a pro, he casually shrugs the moment off without ceremony and gets straight on with the job. And hats off to the man. That same thing could represent an insurmountable embarrassment to lesser mortals. 1st position (straight harp) is in C major. Your root note is generally blow 4. 2nd position (cross harp) is in G major. Your root note is generally draw 2. 3rd position (slant harp) is in D minor. Your root note is generally draw 4. 4th position is in A minor. Your root note is generally draw 6. 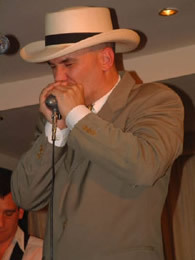 The first three are the most widely used positions on the harmonica. In each case it is helpful if we can find a well known melody that best demonstrates that position and will map out the principle safe notes for us. In first position the choice is limitless. The most often used melodies are Camptown Races, Oh Susannah, When The Saints Come Marching In and Amazing Grace. In second position the choice is also very wide, especially when we start to use bent notes. In third position the melody to Scarborough Fair is the best example I have come across. You can also try What Shall We Do With A Drunken Sailor or even the theme to the Hawaii 5-O TV series. For mapping out fourth position, try When Johnny Comes Marching Home.